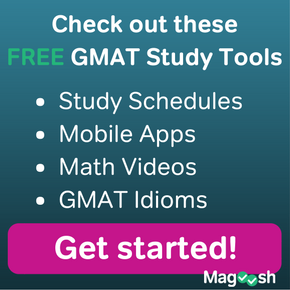 GMAT Essay (a.k.a GMAT AWA) Tips: How to Start Strong! The GMAT Essay, also called the GMAT Analytical Writing Assessment, or AWA, appears at the very beginning of the GMAT. The essay requires you to read a short argument and make a written analysis of the argument. 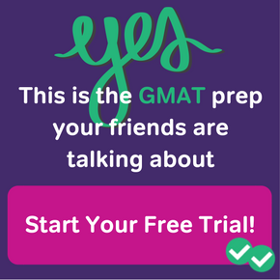 This opening GMAT task has a 30 minute time limit. Doing well on the essay helps you to “start strong” on the GMAT. If you can complete this first task with minimal stress, you can then go on to the rest of the test confidently. And the best way to start strong on the whole GMAT is to start your essay well. Write a good introduction, and the rest of the essay will flow very naturally. 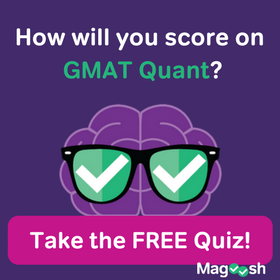 As I mentioned, for the Analytical Writing Assessment (AWA) on the GMAT, students are presented with an argument and are asked to evaluate it. Students need to break down the argument, point out weaknesses and gaps in the reasoning and examples, and suggest ways to improve the argument. All this needs to be accomplished in thirty minutes. In order to write an effective essay in thirty minutes, I recommend walking into the test with a meaty skeleton of an introduction so that you can get to what really matters—the body paragraphs. Let me show you what I mean. Your introduction should not be long. Encyclopedic texts require long introductions; thirty-minute essays require a short introduction. An effective introduction need only be a few sentences. My introduction for this article was only three sentences and I recommend that you aim for around that length in your AWA essay. This is a simple step that many students skip. The very first sentence, before the argument, tells us where the argument is from. This is important information because it provides context for the argument, and it gives us language to use in our essay. You don’t want to talk about the argument generally. You want to know who wrote the argument, who the audience of the argument is, and where it appeared. In the introduction, you really have only two tasks—summarize the argument and state that the argument is weak. You always want to paraphrase and summarize the argument—never copy it word for word. This will help you to synthesize the argument and understand it. And you can even limit this summary to the conclusion. You’ll end up discussing the premises in your body paragraphs when you talk about weaknesses so no need to worry about them in the introduction. Every argument you see on the test will be flawed and have weakness. So this is the perfect sentence to re-use during your practice and on test day. No reason to have something new each time. Find a sentence you like and memorize it. Don’t repeat the same idea, but you should repeat phrases and even entire sentences every time you write a new essay. There is no reason to reinvent something that works. The graders won’t know how many times you recycled a phrase or sentence so make it a point to repeat yourself from essay to essay. Find your own sentence and use it every time you write an essay. Let’s try to make these suggestions more tangible. I have pulled an argument from the list of arguments that could appear on the test. All argument prompts for the AWA are made available so this is the perfect place to practice. The editorial that appeared in the Waymarsh city Newspaper claims that the best way to improve math education in first grade in the school district is to require students in the teacher-training program at Waymarsh University to take more courses in mathematics. This plan is likely to fail due to flaws in the reasoning and logic of the editorial. In this introduction, every thing that needs to be said has been said. The grader can read this introduction quickly, knows that I have read the editorial and that I understand the fundamental claim of the argument, and knows what I will talk about in my body paragraphs. There is really nothing else that needs to be there. The editorial that appeared in the Waymarsh city Newspaper pointed out that parents were upset about their children’s math skills. To correct this issue, the editorial recommends that students in the teacher-training program at Waymarsh University take more courses in mathematics. This remedy is unlikely to be successful due to flaws in reasoning. This introduction is similar to the previous one, but summarizes the whole editorial and not just the conclusion. But it still maintains the same logic and organization—summarize and then state that it’s flawed. An essay with a score of four or higher is not that way because of the introduction. A strong essay is strong because it identifies the most damaging flaws and analyzes the gaps in logic. It recommends ways to improve the argument and uses relevant examples to illustrate why something is flawed. All of this happens in the body paragraphs—not in the introduction or conclusion. So don’t fuss about the introduction. Keep it concise and move past it quickly so that you can spend more time in the heart of your essay—the paragraphs that analyze the argument in your body. For more GMAT AWA strategies, check out my posts on organizing a body paragraph and writing a conclusion! And in case you’re wondering just how important the AWA is in business school admissions, we have thoughts on that too. When I read this prompt I thought that “everyone” in the sentence, “everyone in the teacher-training program at Waymarsh University should be required to take more courses in mathematics.”, goes back to the teachers not to students. Is it safe if i do not state that the argument is weak in the introduction, and do so in the conclusion? How many words are required for this essay. I mean what is the length? Unfortunately, there is no word requirement for the essay. The length of the essay and the score of the essay are not directly linked, although I will say that a longer essay tends to have a higher score. But we can’t assume this to always be true. Sorry that I can’t be more helpful with your question. It’s a tough one to answer.